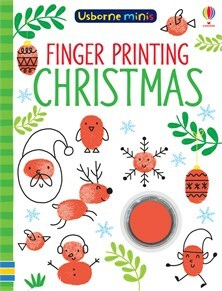 Create elves, snowmen, reindeer and more by following the simple step-by-step instructions in this festive activity book. All you need is your fingers, the ink-pad attached to the book and a felt-tip pen to add details. Part of a range of pocket-sized paperbacks that make perfect stocking fillers.